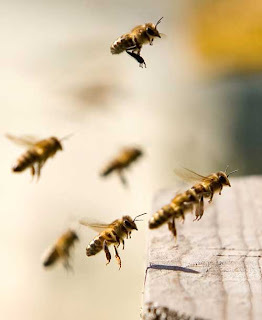 > Honeybees for Sale / Nuclei for Sale-HURRY 7 left!! We are taking orders now for nucleus colonies ready from end May through to the end of June 2011. 0rders are supplied on a first come first served basis. We strongly recommend you order early due to the limited supply and high demand. Just to let you know. On pick up you will bring your protective beesuit, gloves etc. as we will open your nuc, examine all the frames for healthy brood, eggs, open & sealed brood and a lovely marked Queen. Once satisfied with the nuc you will sign our LIVE BEE COLONY CONTRACT RELEASE FORM and you are free to take them to their new home. We also have 2 Italian Strain nucs for sale if you prefer. Just let us know!